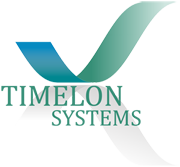 Since our inception in 2011, we, “TIMELON SYSTEMS” are business entity engaged in Supplying and Installing a comprehensive assortment of wide range of Security product includes Home Securities, CCTV, Intrusion Systems, Access Control Systems, Multi Apartment Video Door Call Systems, Sliding Gate Automation, Cantilever Gate, Swing Gate Automation, Crash Rated Bollard, Automatic Bollard, Fixed Bollard, Security Bollard, Semi Automatic Bollard, Crash Rated Cable Barrier, Crash Rated Barrier, Crash Rated Barriers, Crash Rated Single Cable Barriers, Crash Rated Vehicle Barrier, Road Blocker, One Way Tyre Killer, Two Way Tyre Killer, Single Flap Barrier, Automated Flap Barrier, Flap Barrier, Automatic Boom Barrier, Electromechanical Boom Barrier, Pneumatic Boom Barrier, Tripod Turnstile and Full Height Turnstile. Our products are fabricated using genuine raw material, which is procured from the certified vendors of the market. Additionally, we are using only those products which are follow international quality norms and standards. Owing to this, our services and products are widely known all over the world. Besides, the range is also known for its attributes such as durability, reliability, excellent performance, corrosion-resistance, easy maintenance, efficiency, strength, sturdy construction, easy installation and longer functional life. Our Satisfy Clients across the world are, KEYNET Finance Limited, Metro Samved Engineers, ABAJ Electronics PVT LTD, BOSTON TAILORS Ahmedabad, NILKANTH Group Of Hotels, Dharmadev Infrastructure, R K Group- Rajasthan, Tirupati Sarjan Limited, Hinal Polynet Pvt Ltd, Reform Club Ahmedabad, Styam Printers and Scaners, HARIJ NAGRIK Co operative Banks, Karnavati Cooperative Bank and many more satisfied Clients in Portfolio.